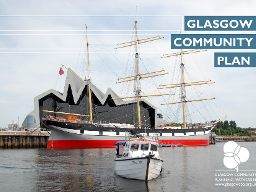 The Glasgow Community Plan has been developed by partners in the city to articulate the focus and priority areas where joint action can make a real difference. 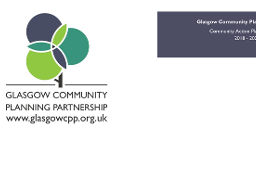 Glasgow Community Planning Partnership brings together public agencies, the third sector and the private sector, to work to improve the city its services and the lives of people who live and work here. The Community Empowerment (Scotland) Act 2015 requires the Partnership to publish a Local Outcomes Improvement Plan that sets out our shared priorities for the city, where we plan to make improvements and over time show that we have made these improvements. This document sets out these focus and priority areas. The Community Empowerment (Scotland) Act 2015 also requires Glasgow Community Planning Partnership to publish an annual progress report setting out improvements made in relation to each outcome identified by the Partnership.